This series addresses the situated nature of learning, remembering and understanding. It may appear obvious that human minds develop in social situations, and that they use the tools and representational media that culture provides to support, extend, and reorganize mental functioning. However, cognitive theories of knowledge representation and educational practice, in school and in the workplace, have not been sufficiently responsive to questions about these relationships. 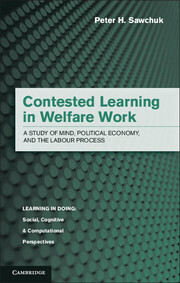 This series seeks to examine both these relationships, and the current and future nature of learning.